When I was starting out trading stocks and forex, I was looking for that bulletproof trading strategy that would make me money in the long run. I am sure most beginners in trading think in the same way. Instead of searching for that million-dollar strategy, first decide how fast you are going to trade. In other words, pick the time frame that suits your lifestyle. Are you going to trade on the daily charts or would you be glued to the screen, monitoring 5-min charts? It’s not that hard to make the decision. Just think how often you can check price movements and keep track of your positions on a daily or weekly basis. You might be too busy throughout the day to log into your trading account. Way too busy. So, checking your portfolio’s performance once a day, either in the night or early in the morning will do. Then, let the market prove you wrong or right in the following weeks. On the opposite, you might have all the time of the world in your hands. Feel free to load 15-min or 5-min charts and begin spotting patterns to trade. Yet, having the luxury of time doesn’t mean that you must trade fast. Day trading or scalping the markets may not be appropriate for yourself. You may have disciplinary issues that only get worse with stress. And, believe me, day trading is stressful. Thus, go for something slower like 1-hour charts and invest the rest of your time improving your research skills. Or, how about starting a blog and sharing your financial thoughts with the world, while you are waiting for the next candlestick to be printed on the hourly chart?! Unfortunately, strategies do not work the same on all time frames. You can devise a strategy with great returns based on the daily charts, only to be proven unprofitable on the hourly charts. 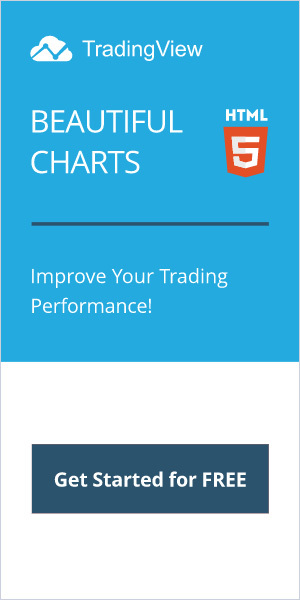 You load some charts on your trading platform. You randomly choose to start from the hourly charts. Then, you spend endless nights, backtesting your strategy. Your charts are filled with indicators and trend lines. You start improving your strategy’s ROI by replacing some indicators and begin implementing more advanced tools, such as Fibonacci retracement levels. Afterward, you tweak the settings of each indicator until your ROI increases substantially. Tweaks are also made on the profit target and stop loss orders. After a month, your strategy looks very promising. It’s time to put it to the test. But upon applying the strategy, you realize you cannot check out the market every hour! Your family needs you, your boss doesn’t pay you to check your positions at work and your friends are getting worried of you turning them down! Thus, you move over to 4-hour charts. Ah yes, those seem perfect. They can fit in your packed daily schedule. You can even sleep during the night more relaxed now! But wait! Now, the input data of your strategy has changed! A single 4-hour candlestick used to be 4 hourly ones! Indicators need re-tweaking. Your Fibonacci levels have also changed. The whole charts are suddenly packed with 4x more data. You think your strategy will continue working flawlessly? Think again. Don’t rush into loading charts and adding a bunch of indicators, drawing fancy lines and tweaking your Risk/Reward ratios. How often can you monitor your trades? Don’t be afraid to admit that once a week is the most you can do. Weekly charts work just as fine. That will make you a position trader. No harm in that. Can you keep that pace long enough? You expect that you can check markets every hour on Thursdays and Fridays, but you’d be struggling on Mondays and Tuesdays to repeat that process sooner than 4 hours. So, pick 4-hour charts and read trading books on the last workdays! Or go for a walk. Don’t forget to exercise regularly. Does your trading platform offer your preferred time frame? If not, pick a longer time frame. If you picked 2-hour charts and your broker’s mobile software don’t offer them (I’ve been there), go for 4-hour charts or the next available time frame. You need tools to make your trading life easier, not harder. Now that you’ve picked the perfect time frame for your trading, it’s time to load up some charts. You know these charts will be exactly the same charts you’ll be looking at in the future. Doesn’t it feel right, starting out your trading journey by picking a time frame that can blend right into your daily routine? Don’t you feel relaxed that you already know you’ll have the time to actually trade? Yes, I bet you do.